Dutch hot tub and swim spa specialist Passion Spas is lining up a fleet of golf carts to help transport visitors around its headquarters site that is being expanded to meet growing European and international demand. In recent years the company’s founder Dolf Nieland and his brother Arno have been working hard to boost the European status and fledgling presence for the Passion Spas brand in the USA market. After reporting that sales had surpassed the 6,000 mark during 2015 the siblings are now focussed on achieving further success with a major expansion project at their Holland showroom and warehouse facility. As part of the major expansion initiative there will be multi-level display areas and the design will be based on Les Halles train station in Paris before it was burnt down. 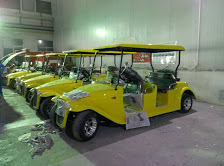 A number of golf carts are currently being prepared to help visitors to be transported around the facility quickly once the expansion work is completed. “We are currently working to recreate the classic style of Les Halles in our enhanced showroom and headquarters in Holland as part of the expansion plans,” said Dolf. “We started designing the plans in November 2014 and then we started work in March last year. “Part of the design will incorporate a new bridge level and walkway overlooking the store. The plans also include some more buildings, including offices and workshops, plus a fitness room and squash facility. During appearances at major wet leisure exhibitions, dealers in Europe and the USA have been introduced to three new hot tub models. These are the entry-level Repose, the fully-featured Desire, and the Felicity that have been launched ahead of the spring season to boost options for Passion Spas dealers and their customers this year. The trio of new Chinese-manufactured models were promoted to British audiences during the UK Pool & Spa Expo in November, ahead of it being renamed as the Hot Tub Living Expo, and recent 20th anniversary edition of SPATEX after they were showcased by the Michigan-based Passion Spas USA team at the Mandalay Bay Convention Centre in Las Vegas during the International Pool Spa Patio Expo. “We’ve had a really good reception for the Felicity,” said Dolf; “It has been designed with a seat specifically to massage the lower back. “While we were designing this hot tub model Arno stressed to me that we needed to keep it compact but with all of our Passion Spas features that we are already known for. This decision has been proved to be the right one because it has already done well since its launch in the USA and Europe. Dolf reported that he would be continuing his strategy to produce new models every year, which would be launched at high-profile exhibitions, to provide dealers with the ability to constantly change their showroom options. “We achieved 6,000 sales last year and want to be liked by the masses,” divulged Dolf. “So we will be launching a new exterior design that is more minimalistic and is generally what the majority of customers are looking for. But we will also still be continuing with our strategy of producing innovative models as well in the future. 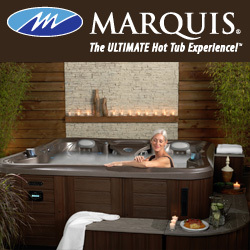 “Our intention is to be constantly developing and launching new hot tub and swim spa products. We are close to our customers and hear what they say. So we can then introduce some of their suggestions in our future models. “The Pleasure is currently our best seller but we are now looking to make some small changes to enhance it. It will have improved comfort and lumbar support and should be another success for us again. Dolf and his 100-strong team have been gaining success in the swim spa market and he has been developing models for his Chinese manufacturing facility, which employs 250 people to work on the various ranges, to cater for the growing demand in this thriving part of the industry. “We continuing to develop our swim spas, with features such as our buoyancy jets, and have gained a lot of customers throughout Europe,” said Dolf.